Health benefits of thyme, herb family Lamiaceae with over 350 species it is more than just a plant. Awe is the spectrum of its application. The ancient Egyptians used it in rituals of embalming and the Greeks used it as incense because of its exceptional flavor. Thanks to its distinctive flavor, thyme has become one of the most commonly used spices in cooking. Besides beautiful and aromatic, thyme is very helpful. 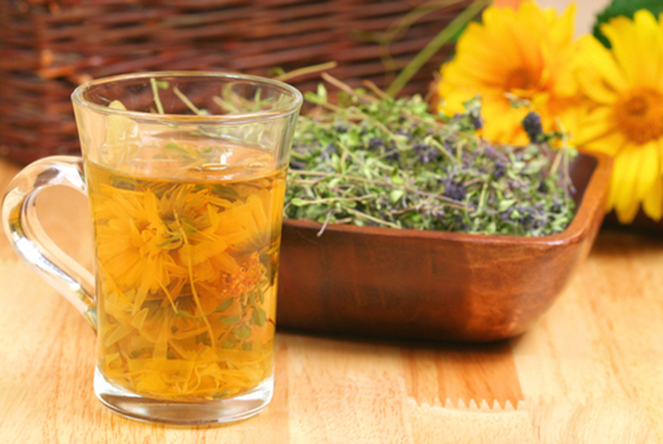 Through its regular consumption – in the form of tea as a spice essential oil or tincture, no matter how, and how it will keep us healthy and beautiful. Besides its taste qualities thyme highlighted as a very useful herb with a fast growing reputation for its healing qualities: to support treatment of acne and high blood pressure. It is important to know that pregnant women should not consume tea, thyme, as this can lead to spontaneous abortion. Trying different products against acne and no one helps? Perhaps thyme is your solution. Its antibacterial properties are known and perhaps this is the key to winning the battle against acne. 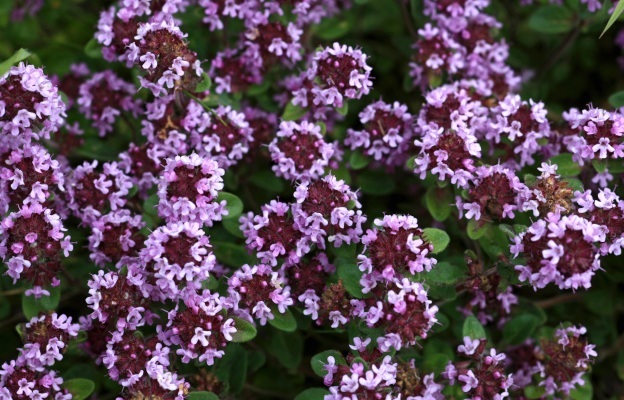 There have been studies in the UK, where the test the effects of tincture of thyme on acne. In one study, the results are amazing. This natural product made fighting shoot much better than antiacne analogues that contain benzoyl peroxide. Only time can tell how effective the action of the tincture of thyme on acne. Alone you can prepare a tincture of thyme at home. In a glass container (jar or bottle) initiate thyme without her tread, and then add the 40-degree alcohol best brandy and fine closing. For at least 14 days the mixture was shaken and kept warm but not hot spot. Then strained with cheesecloth and squeeze the remnants nice. So prepared tincture is ideal for rubbing and treatment of pimples. A dissolved in water or juice is taken as an expectorant and diarrhea. Thyme essential oil, which is extracted from its leaves, often used as a natural medicine against cough. In one study, the combination of thyme leaves and ivy significantly relieve cough and other symptoms of acute bronchitis. The next time you’re faced with sore throat or bronchitis, first try to drink a tea of ​​thyme, and if you do not help – drink two. The challenge is to get all the necessary vitamins for our body today. Fortunately thyme is full of vitamin C and also vitamin A. When you feel that sick, thyme can help you to regain your previous state. Another benefit of thyme – it contains high amount of copper, fiber, iron and magnesium. There is nothing more unpleasant than to find somewhere mold home, either in the bathroom or on a wall. Fighting fungus is hard and many times unsuccessful, but here thyme comes to the rescue. The essential oil of thyme and thymol have antifungal activity. According to a study, it can be used in dwellings where there is a low concentration of mold and remove it. There is nothing more unpleasant than to find somewhere mold home, either in the bathroom or on a wall. Fighting fungus is hard and many times unsuccessful, but here thyme comes to the rescue. The essential oil of thyme and thymol have antifungal activity. According to a study, it can be used in dwellings where there is a low concentration of mold and remove it.